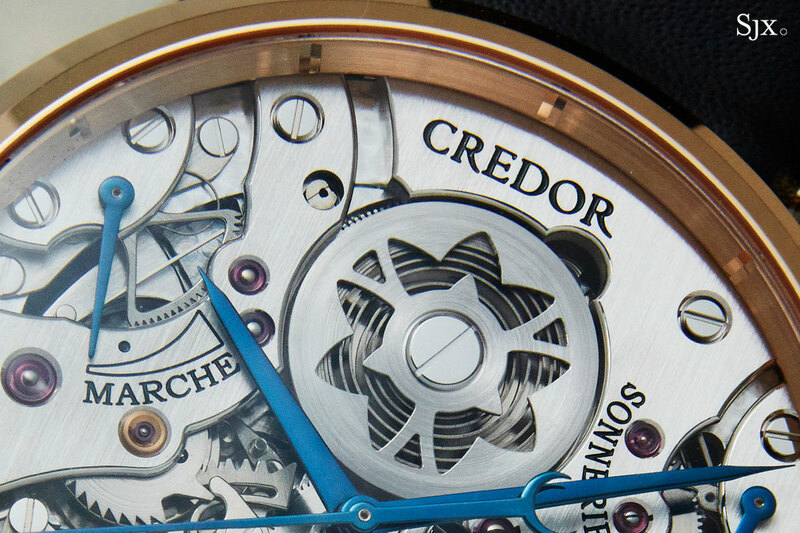 The first Credor Sonnerie, plus a pair of Rolex triple calendars. Christie’s Important Watches happens in just over a week’s time, with just over 300 lots in a diverse sale. 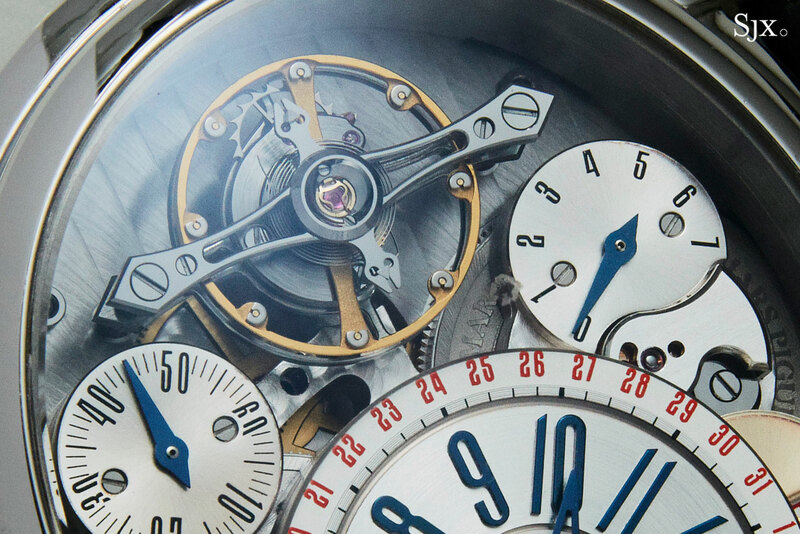 In terms of contemporary watchmaking it is notable for several first-to-auction timepieces, including a Seiko Credor Sonnerie and Lange Datograph Perpetual Tourbillon. 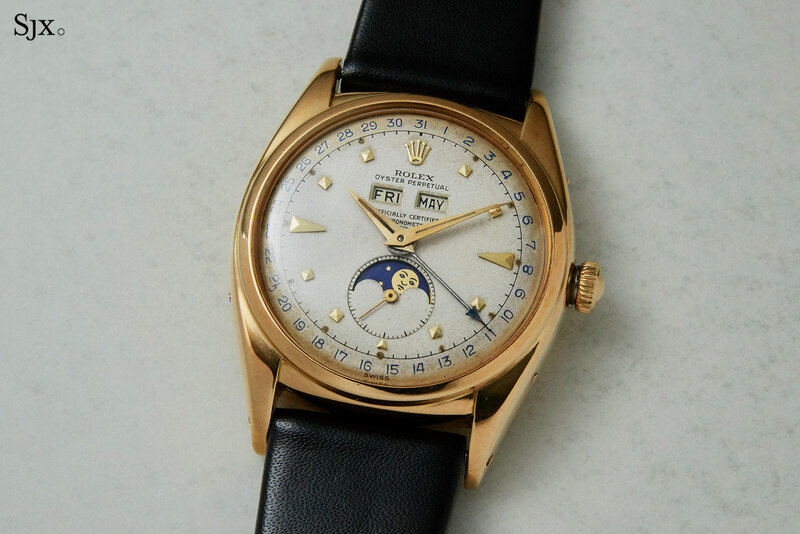 And for vintage watches the catalogue includes examples of highly desirable and valuable models that are slightly more well worn than the pristine examples typically found in Geneva auctions, which also means more affordable prices. Here are 10 highlights from the catalogue, which can be seen in full here. 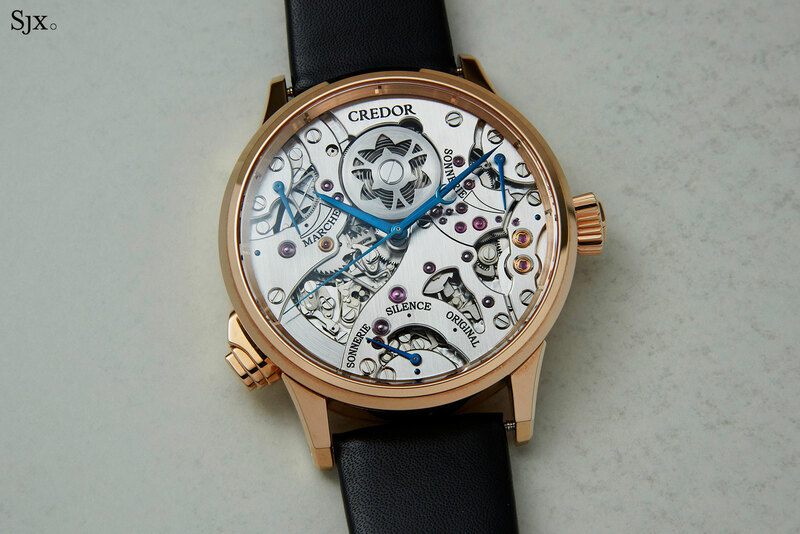 Offered at auction for the very first time is the remarkably refined – and strikingly zen – Credor Spring Drive Sonnerie. It’s an hour striker wristwatch, able to chime the current hour on the hour in “Sonnerie” mode, or a triple chime every three hours in “Original” mode. 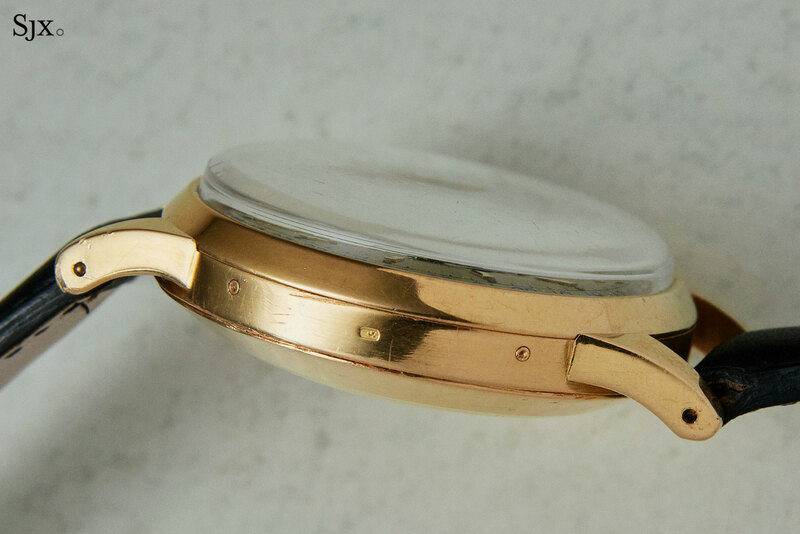 Because the gongs are made by an artisan responsible for traditional wind chimes, with a tone modelled on Japanese temple bells, the chimes of the watch are long drawn and resonant. 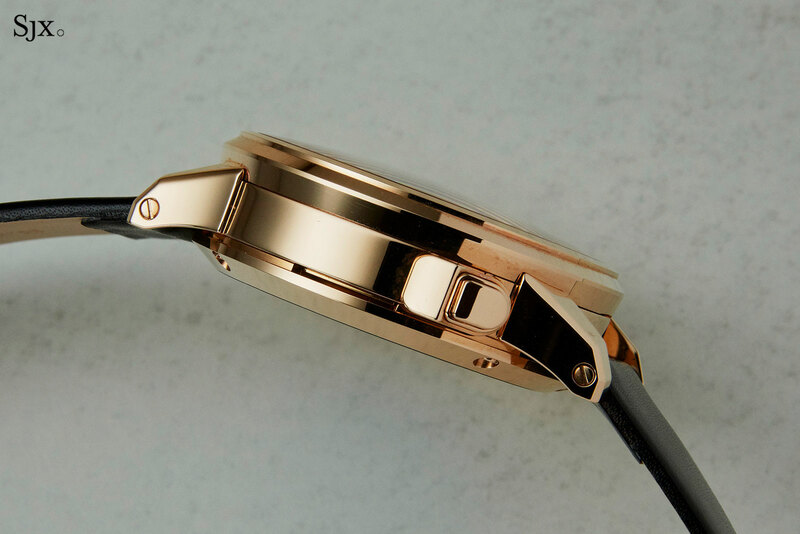 This is not a striking watch for the impatient. 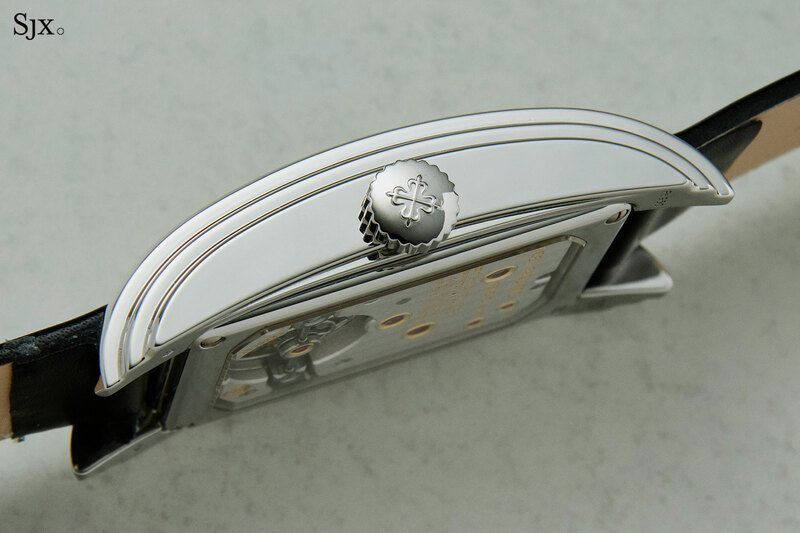 It’s produced in the Micro Artist Studio of Seiko-Epson in Shiojiri, the same workshop where the better known and equally accomplished Credor Eichi is made. That means the movement is finished to an exemplary degree, with attention lavished on every component. 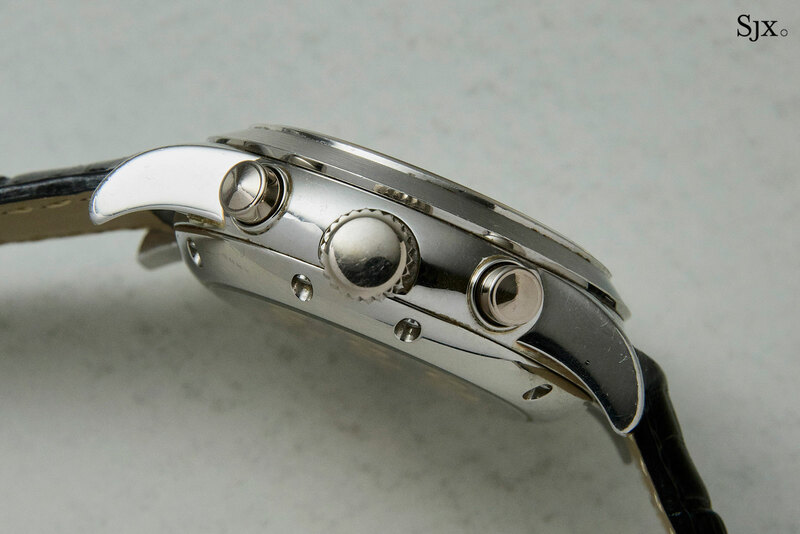 Because the dial is completely open, most of the striking mechanism, with all its gears, racks and snail cams, is visible. 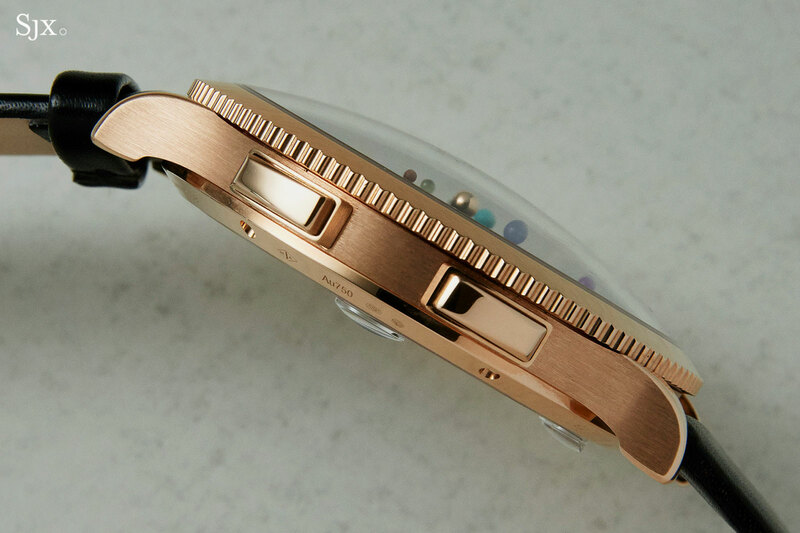 The case is 18k rose gold and a large 43mm in diameter. While this watch was originally purchased in 2007, it was hardly worn in the decade since, leaving it in immaculate condition. It’s also complete with the original box and documents. The Credor has an estimate of HK$720,000 to HK$1.0m, or US$93,000 to US$130,000. That compares with a retail price of ¥17.28m in Japan, which is equivalent to US$153,000. 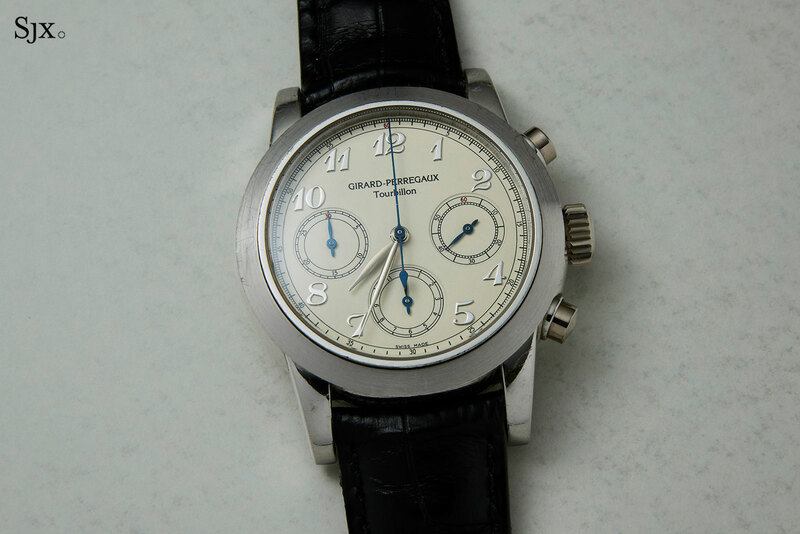 Such a watch is usually sold without discount, meaning this example a fair buy at the lower end of the estimate. 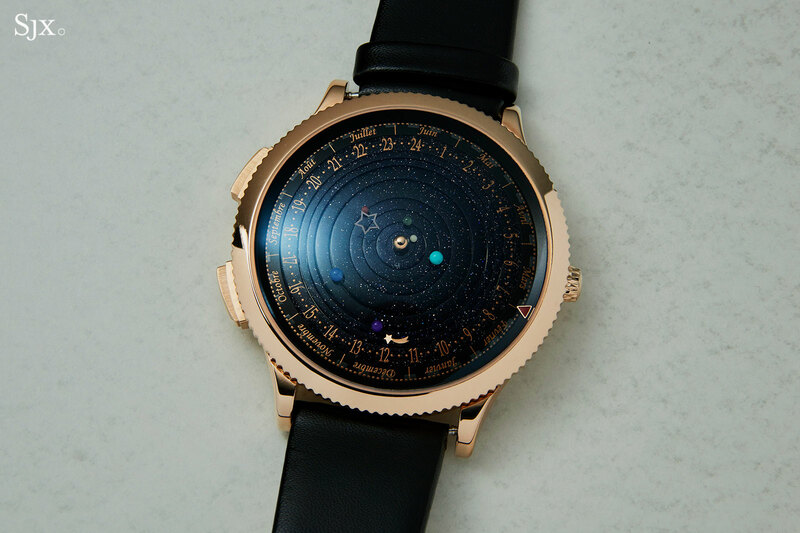 Developed in collaboration with astronomical complications specialist Christiaan van der Klaauw, the Midnight Planetarium shows – in real time – the motion of the planets in the solar system as they orbit the sun. It’s a complication with a very distant horizon in mind: the earth makes one revolution around the sun in 365, while the Saturn takes almost 30 years to do the same. All of the planets are rendered in three-dimensions as tiny spheres, with the sun in red gold and the planets in precious stone; Mars, for instance, is in red jasper. 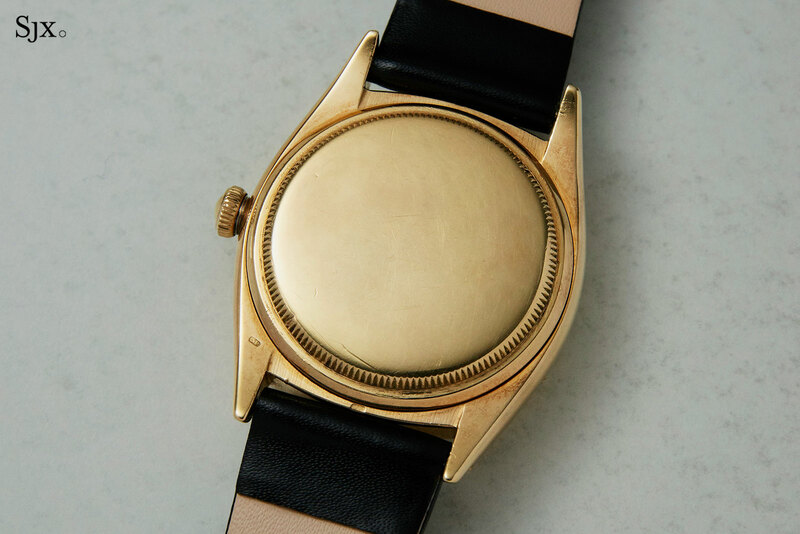 They sit on a dial made up of concentric rings of aventurine, a glassy stone with sparkling metallic inclusions. The 18k pink gold case is 44mm in diameter, with a display back that reveals the automatic movement that’s a Roger Dubuis calibre. Unusually for such an exotic watch, this Planetarium has been obviously worn, which means the owner must have been fond of it. None of the original packaging is included. The estimate is HK$450,000 HK$700,000, or US$58,000 to US$90,000. 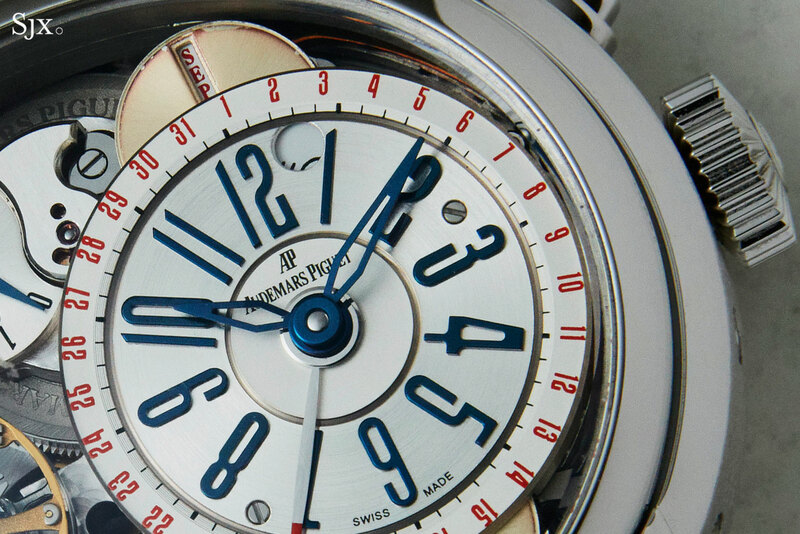 An unusually complicated watch, this is the fifth in the series of “Cabinet” grand complications that Audemars Piguet started in 1999. 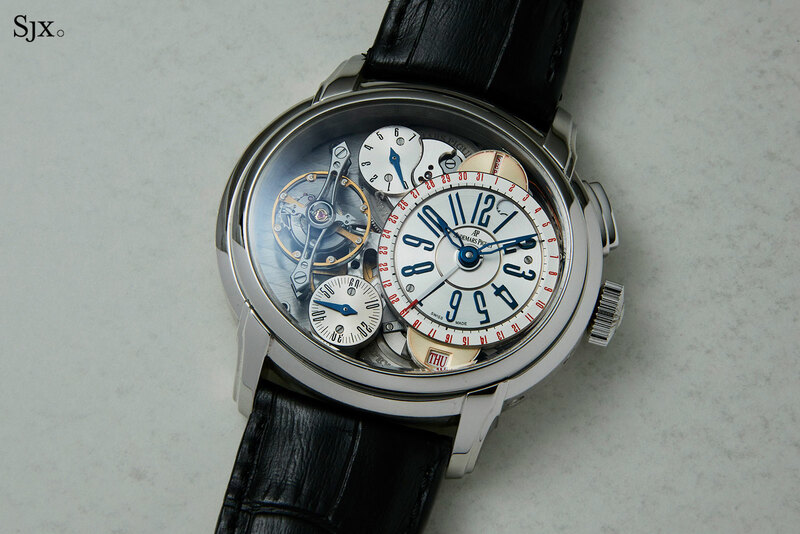 While the Millenary won’t win a popularity contest amongst Audemars Piguet models, the uber-complication Millenary watches are amongst the coolest complicated AP watches ever, and this is one of them (with the Millenary MC12 in the same auction just as cool). Introduced in 2006, the Cabinet No. 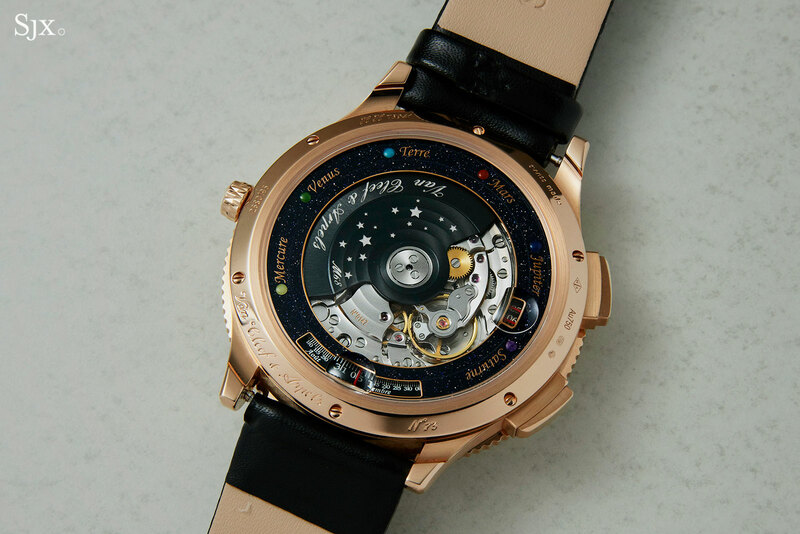 5 boasts a linear perpetual calendar with the day and month in windows, a deadbeat seconds, seven-day power reserve, and a tourbillon with double hairsprings and the patented, lubrication-free Audemars Piguet escapement. The two very large barrels are visible through the display back. 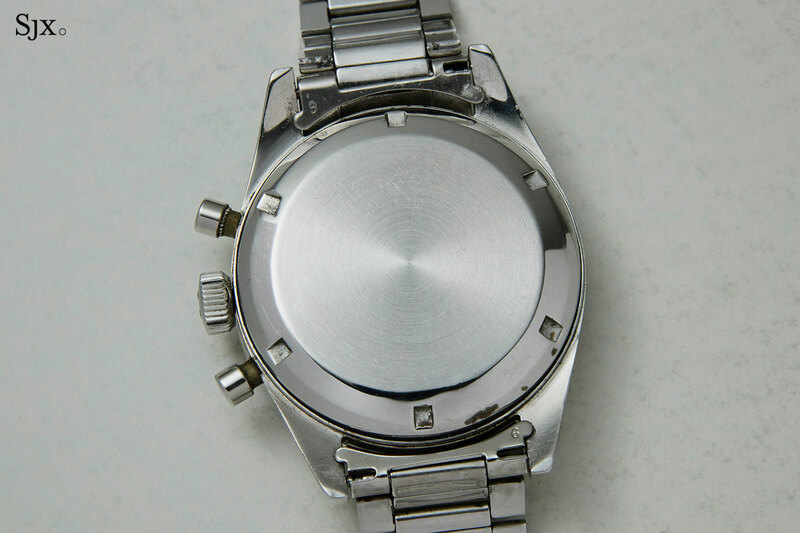 The case is platinum and massive, 47mm in diameter and strikingly thick. It’s a lot of watch. 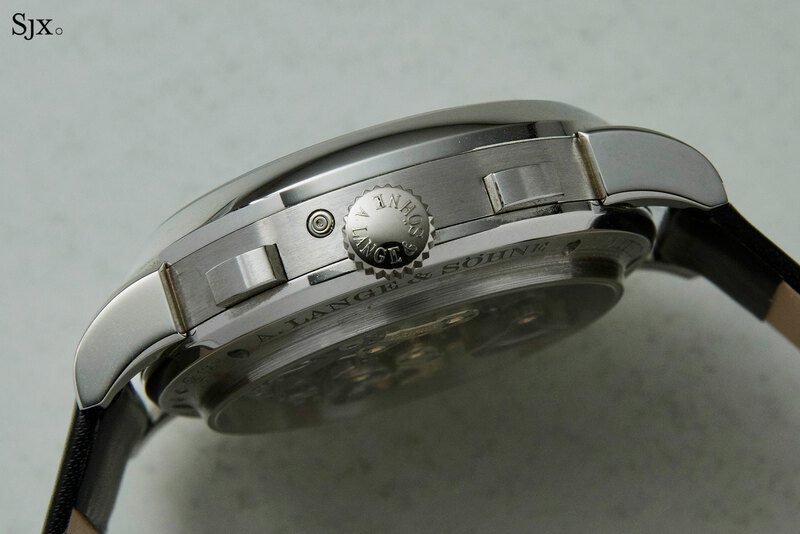 In crisp, original condition, the watch seems to have been worn little, though the calendar sub-dials on the front show slightly oxidation on their edges. The watch is complete with the original box and papers, as well as an archive extract indicating it was sold in 2007. Only 20 were made, and the estimate is HK$720,000 to HK$1.1, or US$93,000 to US$140,000. 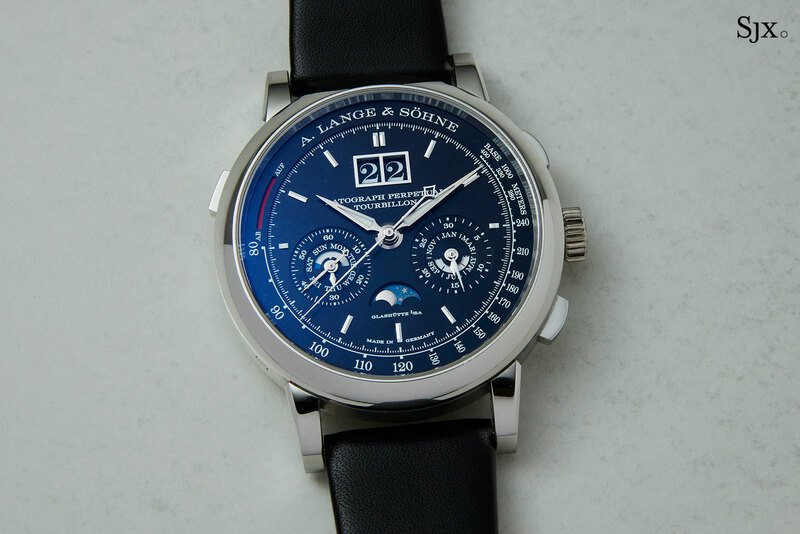 Notably this sale boasts two of the most complicated A. Lange & Söhne wristwatches ever made, including the Datograph Perpetual Tourbillon, which was launched only in 2016 and offered here for the first time at auction. The name reveals everything it does: flyback chronograph, perpetual calendar with oversized date, tourbillon, plus a discreet power reserve indicator at 10 o’clock. 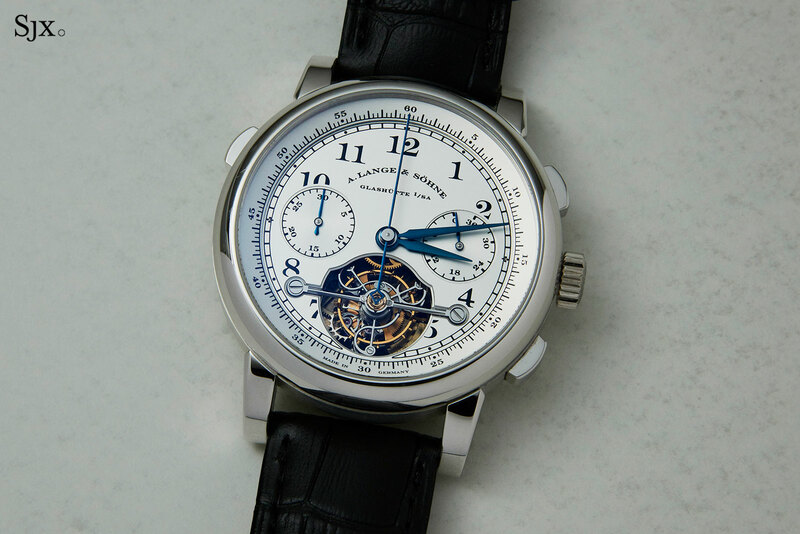 All of that makes for a big and hefty watch, but the size and feel is typical of Lange. 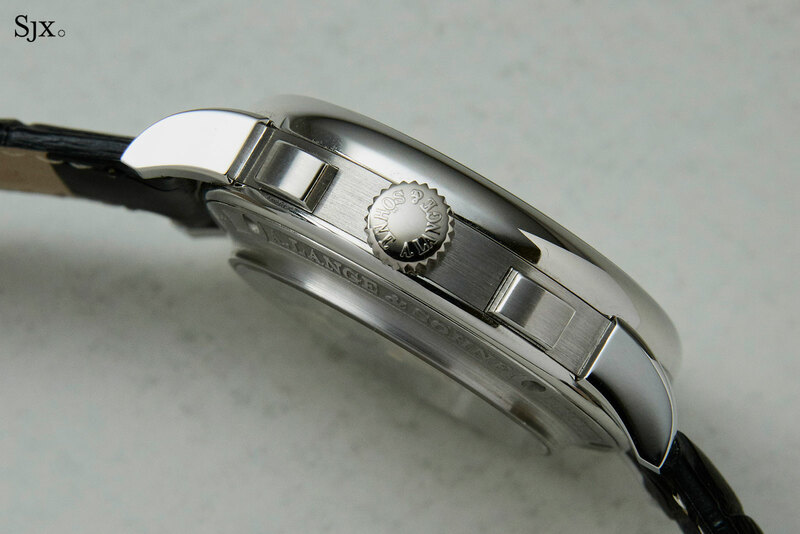 The case is platinum and 41.5mm in diameter. 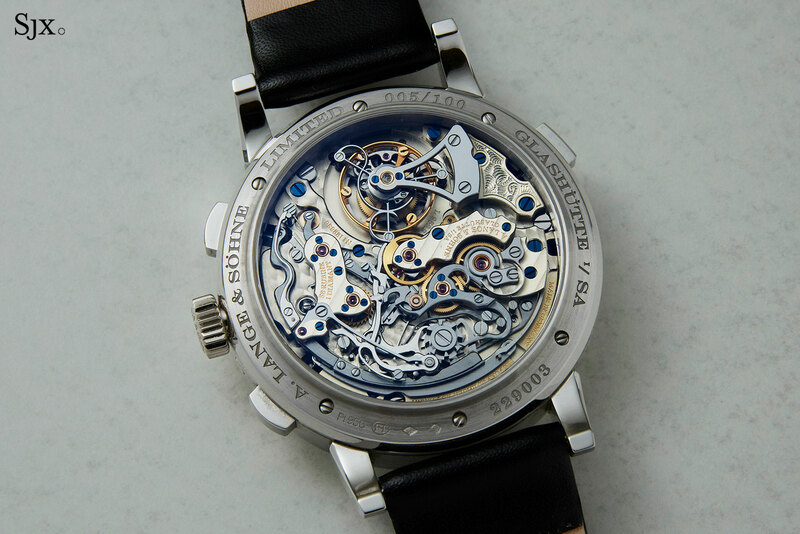 As is the case with any Lange chronograph, the most impressive view is from the back. 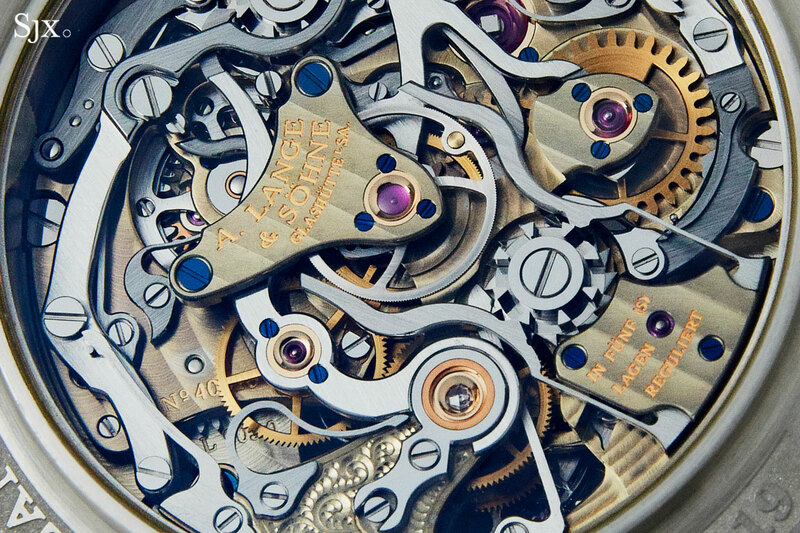 The movement combines the remarkably intricate chronograph mechanism of the Datograph with a tourbillon regulator. The tourbillon is held in black by a black polished bridge, and features Lange’s in-house adjustable mass balance wheel. This watch is in near mint condition, and accompanied by its original, very large box and documents. It’s numbered “005/100” and has an estimate of HK$1.2m to HK$1.6m, or US$160,000 to US$210,000. 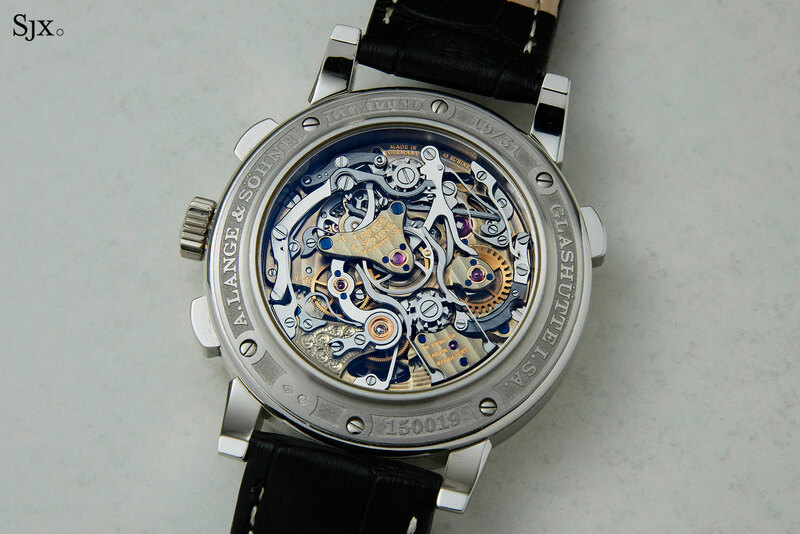 The other Lange grand complication in the sale is the original big beast of the brand, the Tourbograph Pour le Merite. 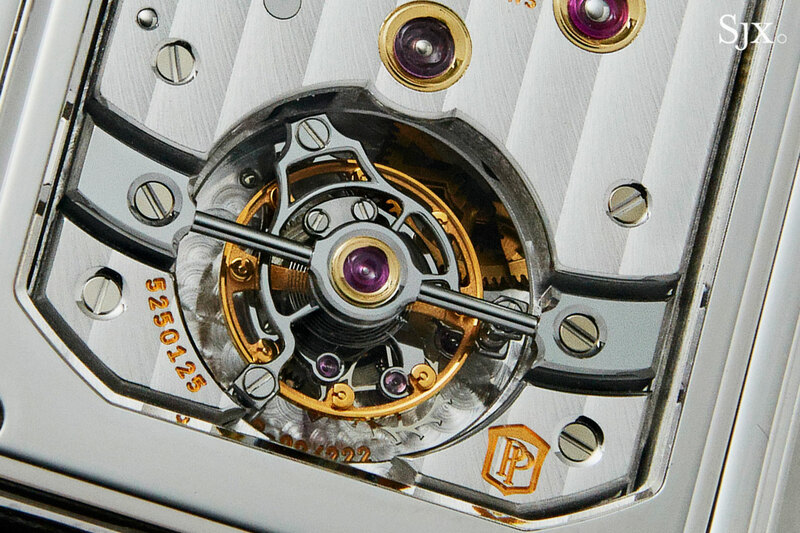 Think of it as a Pour le Merite Tourbillon on steroids. This combines a split-seconds chronograph, tourbillon as well as a chain and fusee mechanism, inside a large, 41mm platinum case. 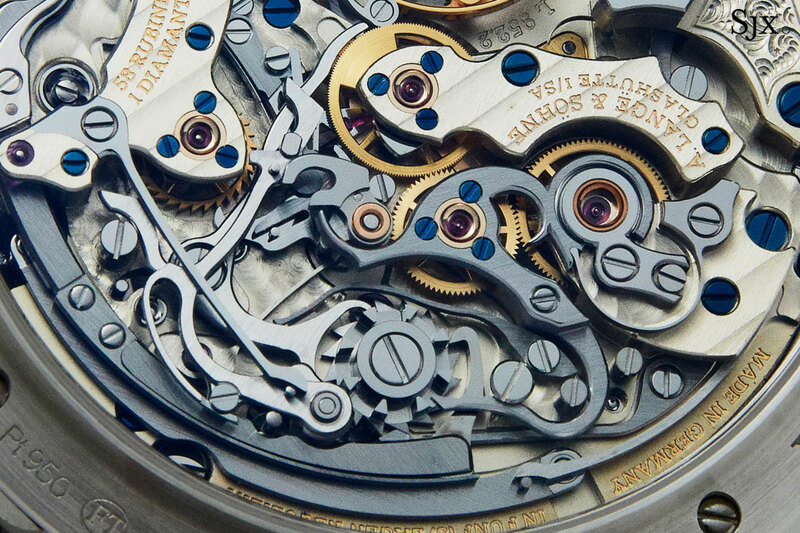 The movement is as impressive as any other Lange chronograph, densely packed with the components stacked tall. The watch is in near mint condition, with all of the original packaging and was originally sold in 2008. 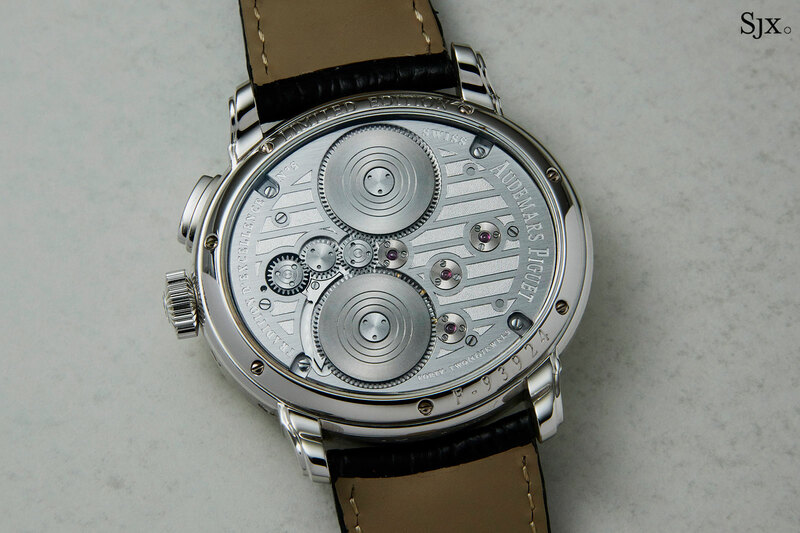 The Tourbograph hasn’t been too popular on the secondary market since its introduction in 2005, explaining the relatively modest estimate of HK$2.4m to HK$4.0m, or US$310,000 to US$510,000, making it relatively good value as such things go. 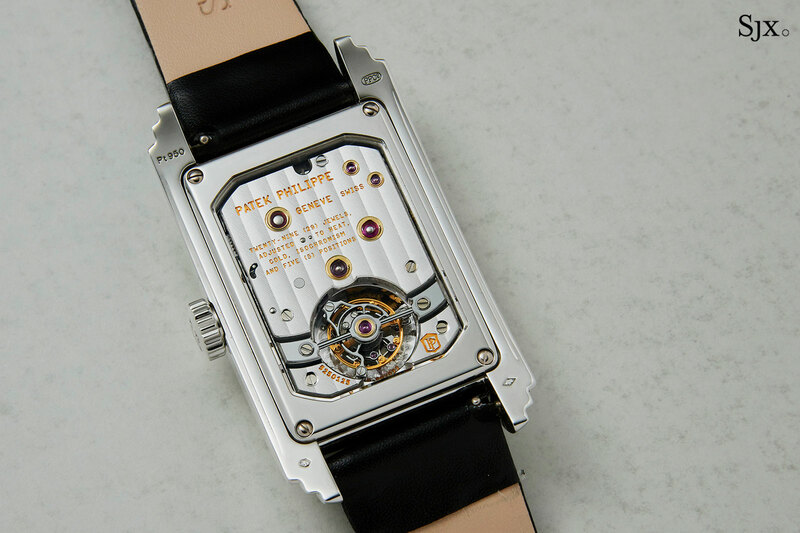 As tourbillons go, this is one of the most discreet (and the Patek Philippe further down is a strong rival). 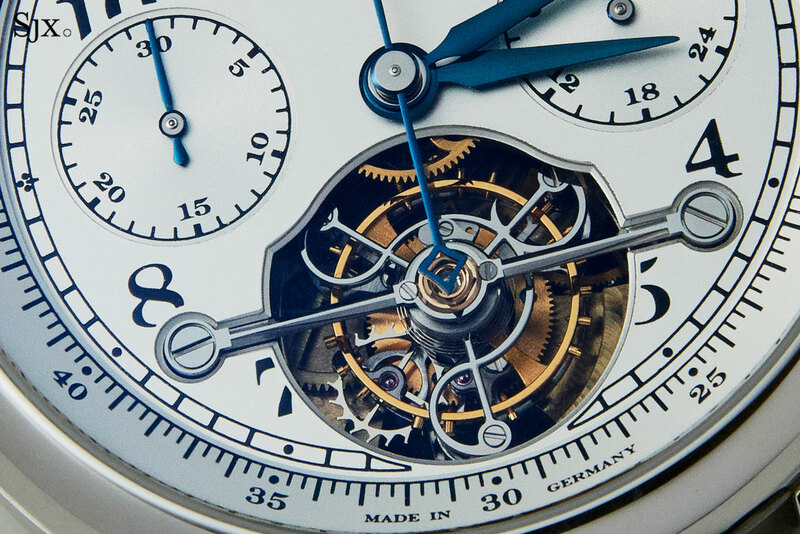 The front is classic “tri-compax” chronograph, with leaf-shaped hands and Breguet numerals on a cream dial. 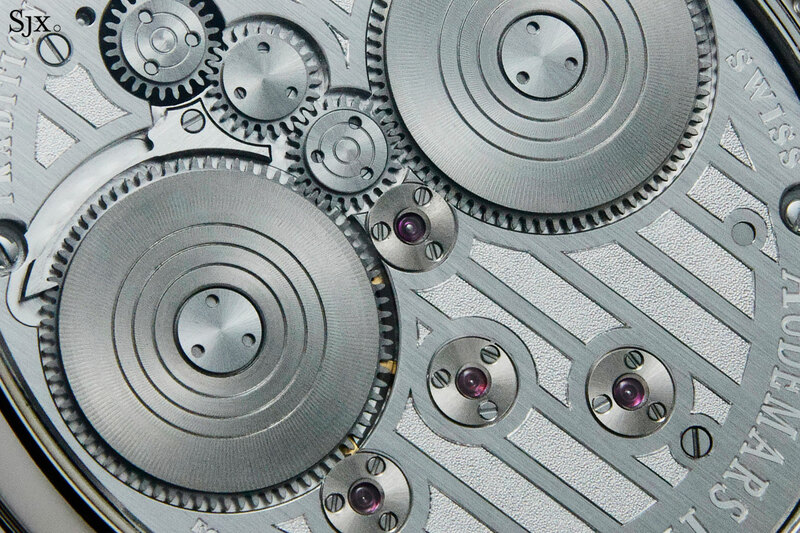 But the surprisingly thick white gold case gives it away – the chronograph is a module sitting on top of something special. The open case back reveals the Tourbillon with Three Gold Bridges, the signature Girard-Perregaux complication and still, despite the proliferation of tourbillons, one of the most beautiful tourbillon constructions. 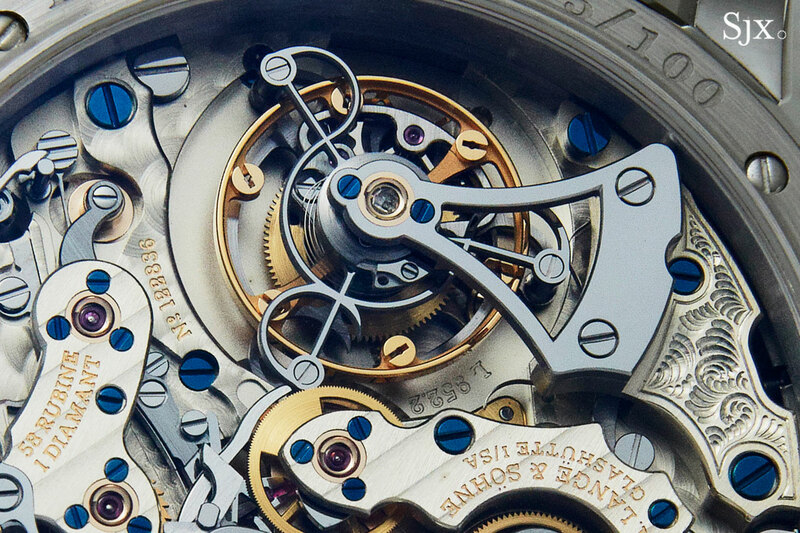 Inspired by 19th century pocket watches built the same way, the movement has a linear layout, with each of the key components – barrel, centre wheel and tourbillon – secured by an arrow-shaped, solid gold bridge. The watch has its original boxes, and an estimate that is compelling: HK$350,000 to HK$500,000, or US$45,000 to US$64,000. That’s as good as buying the tourbillon and getting the chronograph for free. 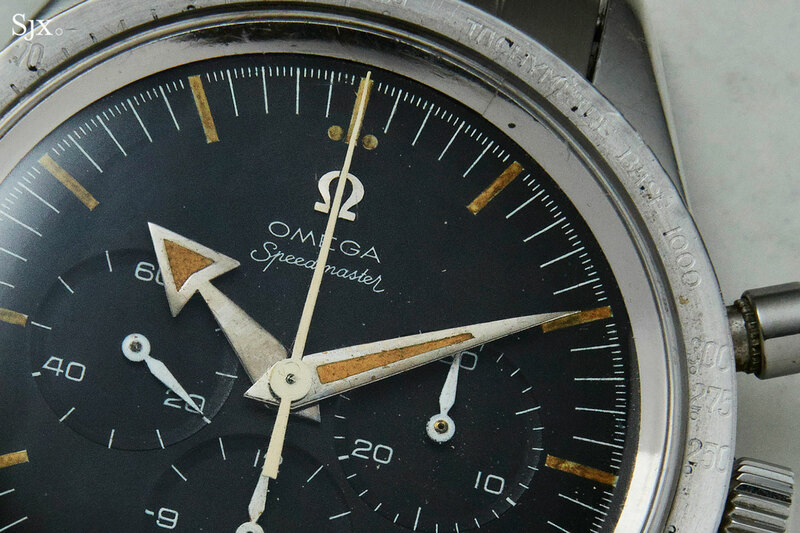 After a record-setting result at auction earlier this year, the Omega Speedmaster ref. 2915 is a significantly more valuable watch. This example is a ref. 2915-2, and is in well worn, but original, condition, which means a more affordable estimate. 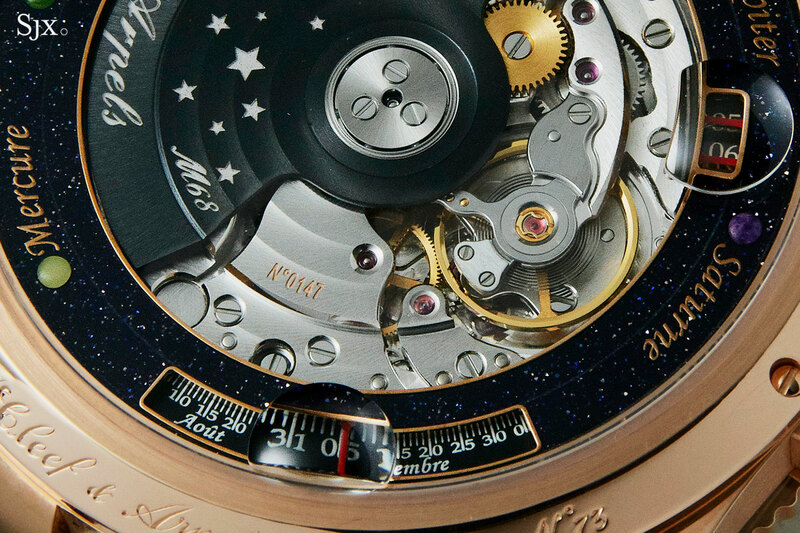 The dial is original, as are the hands, though the central seconds hand is a later replacement. The hour and minute hands have been “relumed”. 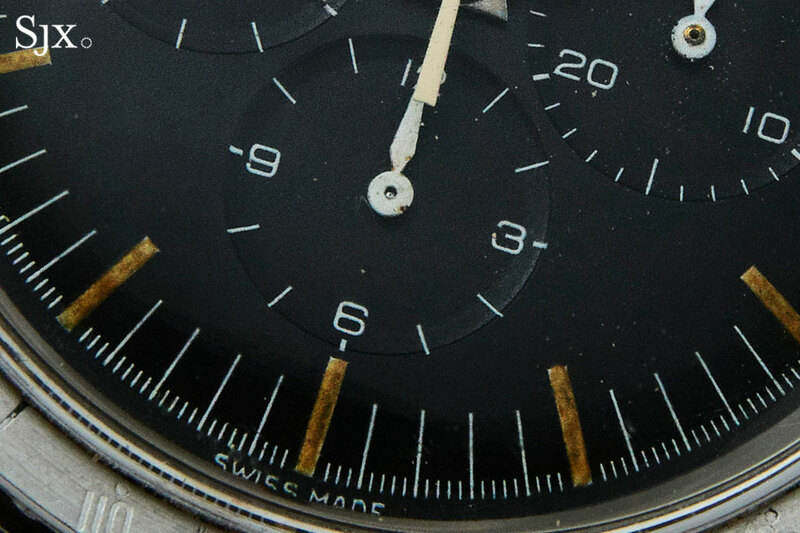 The watch is the desirable “Base 1000” bezel, a part that is surprisingly valuable in itself, though it is well worn here. 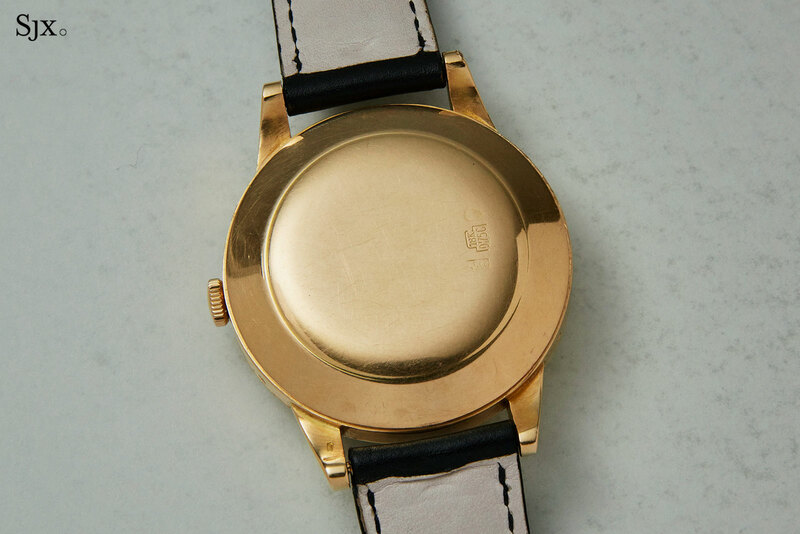 Similarly, the case is similarly well worn, with its edges and back having been rounded over time. 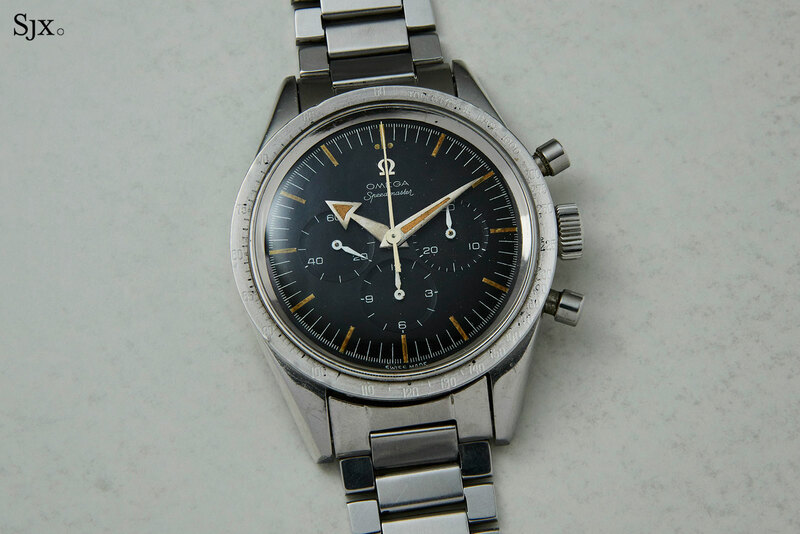 An Omega Museum archive extract is included with the watch, noting it was produced in 1958 and sold in Taiwan. The estimate is HK$600,000 tO HK$900,000, or US$77,000 to US$120,000. 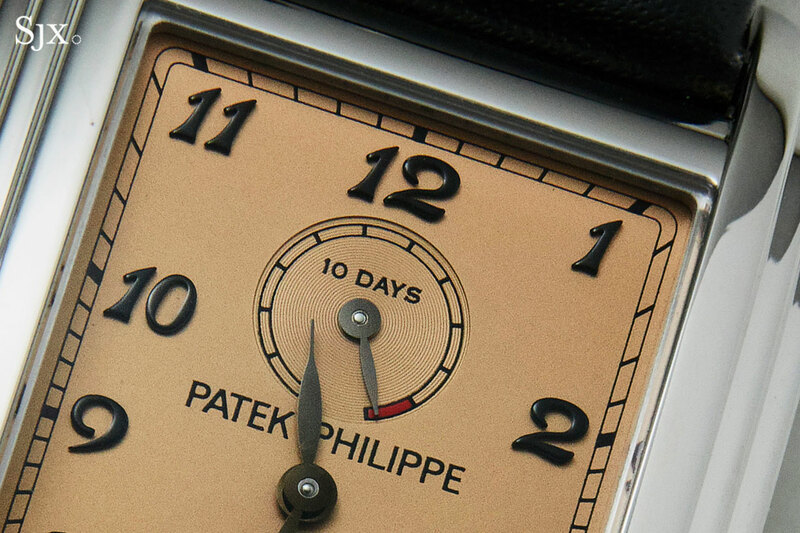 Patek Philippe “grand complications” are rarely value buys, but the 10 Day Tourbillon is arguably one. 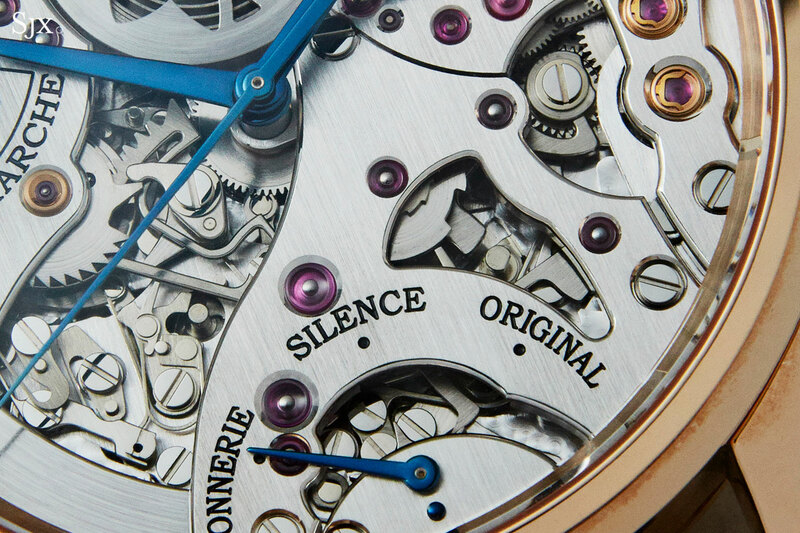 Perhaps because it is too long, or perhaps because the tourbillon is hidden, the ref. 5101P sells for relatively little compared to its original retail price. 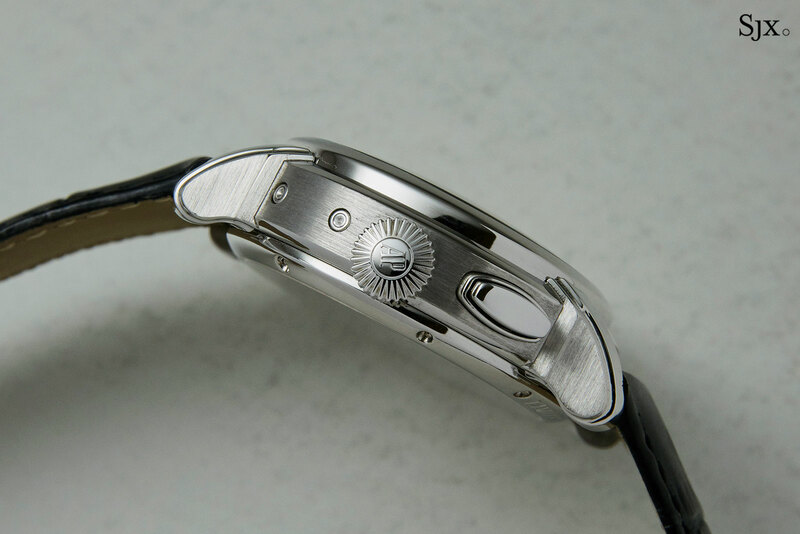 The Art Deco case is platinum, and the dial is salmon with blackened gold numerals and hands. 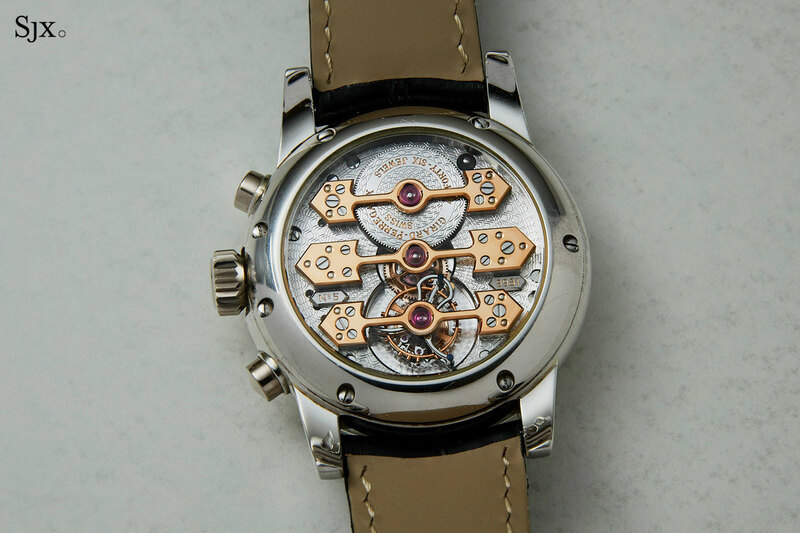 But the best bit is the movement, which is rectangular and wonderfully decorated, with the steel tourbillon bridge being particularly refined. This example is in excellent shape and includes the original box and papers dated 2011. It’s estimated at HK$800,000 to HK$1.2mm, or US$110,000 to US$150,000. 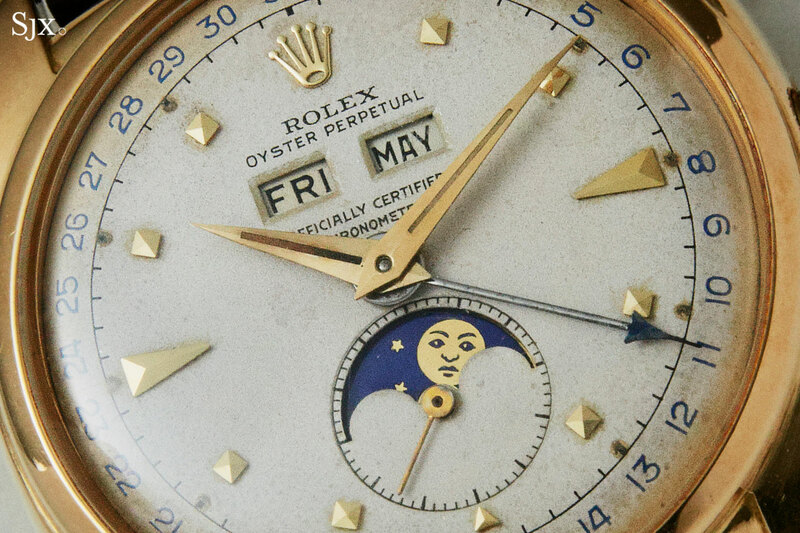 Vintage Rolex triple calendar watches are beautifully poetic, but also extremely rare and expensive. Unusually there are two in this auction. 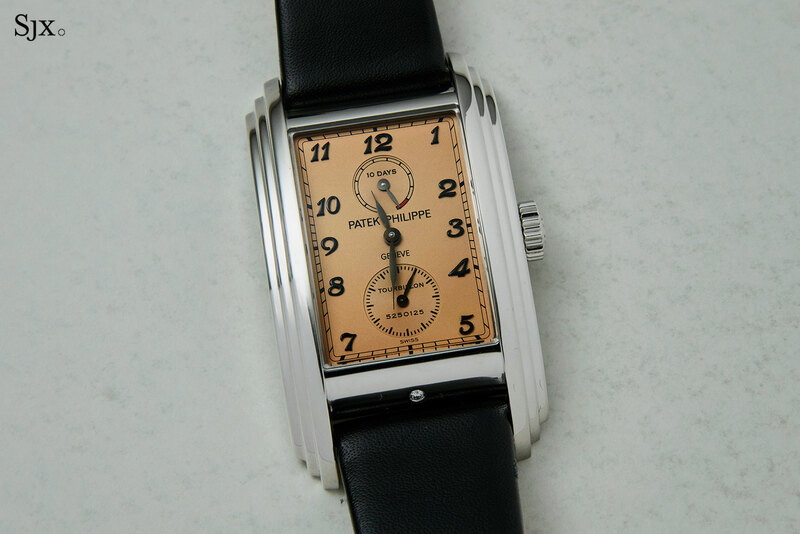 The first is an aged, but handsome example of a desirable Rolex, the ref. 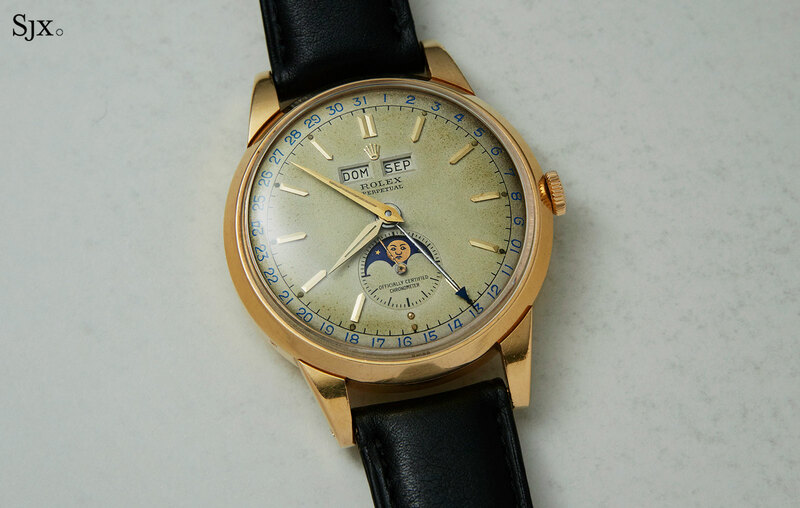 8171 triple calendar wristwatches nicknamed “Padellone”, Italian for “frying pan”, for the shape of its case. 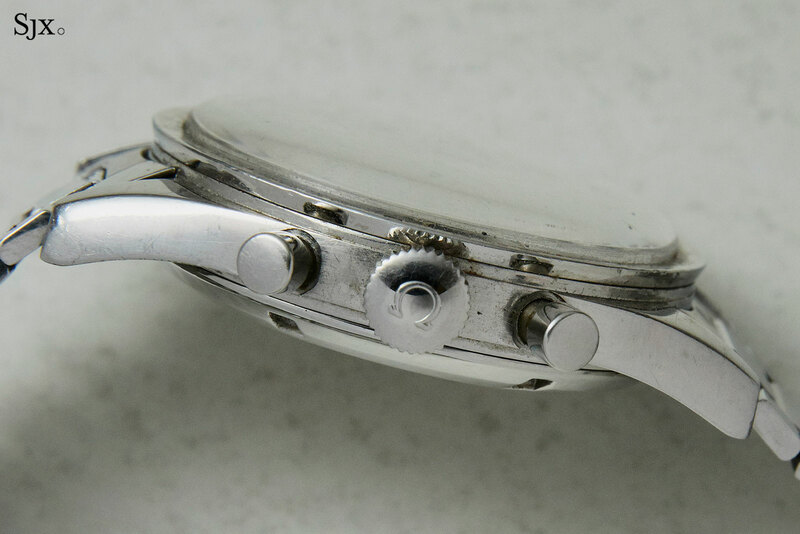 Possibly a decades-old service replacement, the dial is now several shades darker than the original colour, common for this model as the case has a snap-on back. And the correct, lighter colour of the date track on its periphery is partially discernible. The hour and minute hands aren’t an exact pair for each other, which means one (probably the minutes) was replaced at some point in time. The case retains its original shape and hallmarks, though the marks on the case back are slightly faint. The estimate is HK$800,000to HK$1.6m, or US$110,000 to US$210,000. 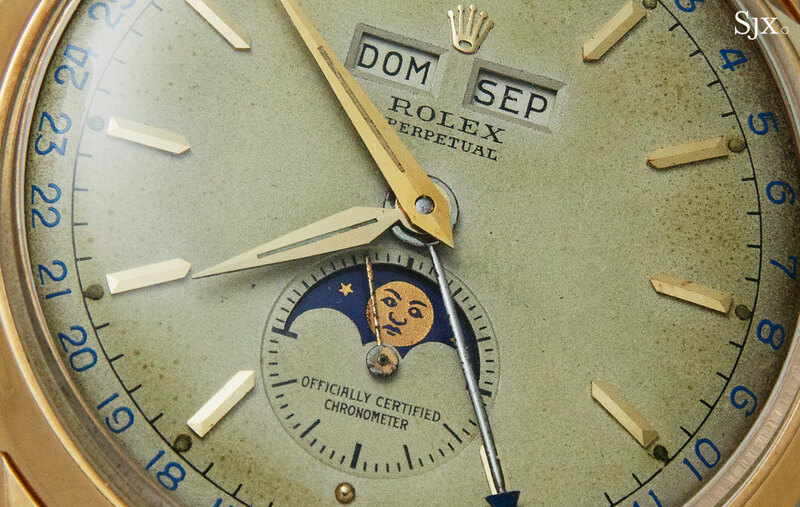 Like the “Padellone” above, this Rolex triple calendar ref. 6062 is original albeit well worn. 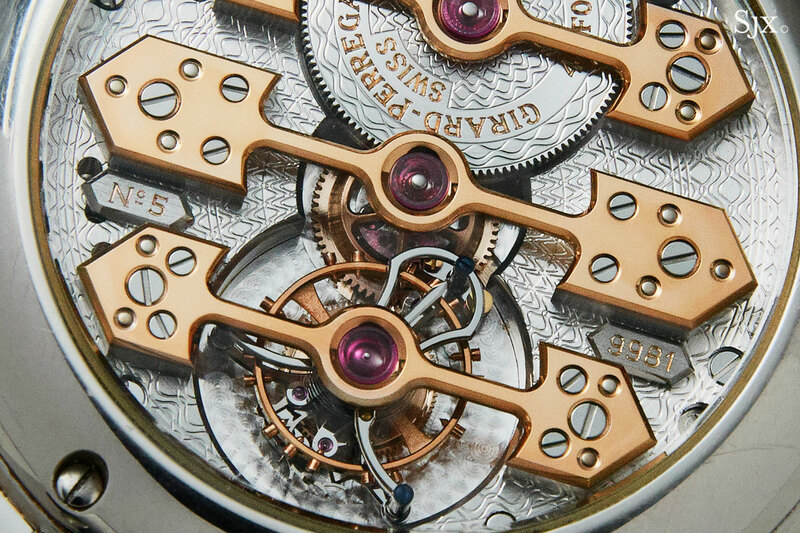 This example has a “pyramid” dial, named after the square hour markers between the quarters. 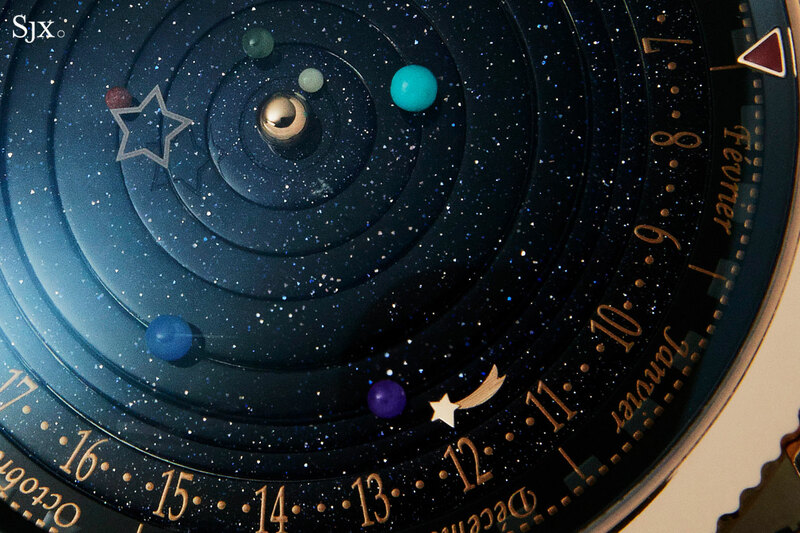 Though less well known than the “Stelline” dial with star-shaped markers, this is apparently less common. The dial has aged, especially around the edges, with most of the radium dots having been lost. 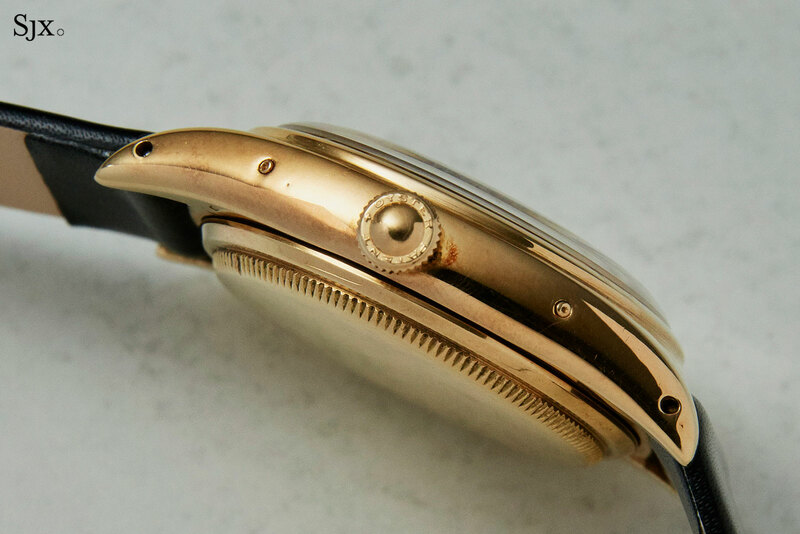 The case has been polished several times over the years, having a rounded, slimmer form as well as wear to the numbers engraved between the lugs. The crown is a replacement. This has an estimate of HK$1.7m to HK$2.4m, or US$220,000 to US$310,000. 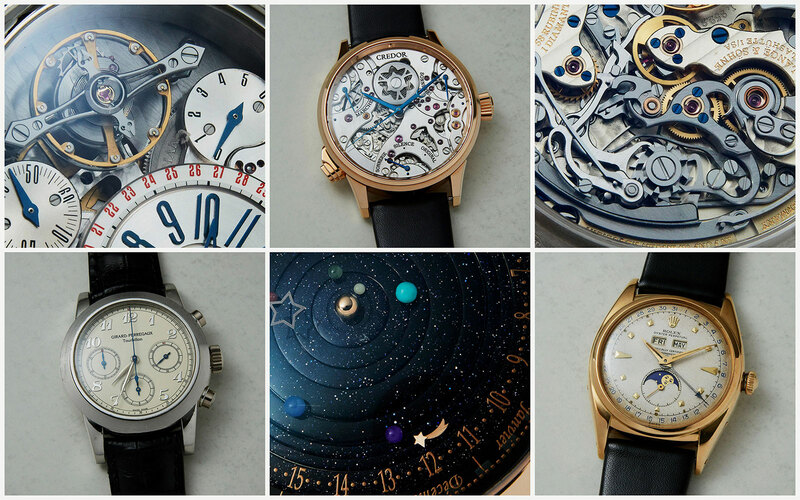 The Christie’s Important Watches auction starts at 12pm on November 26 in the Grand Hall of the Hong Kong Convention and Exhibition Centre in Wanchai. All lots will be on show at the same venue from November 23 to 25. The catalogue is available online here. This was brought to you in collaboration with Christie’s. Correction November 19, 2018: The dial of the ref. 8171 is likely an old service dial.